AmeriGlo’s Agent night sight set for Glock® is a major step forward in night sight design that delivers improved visibility and faster sight acquisition in any lighting conditions. 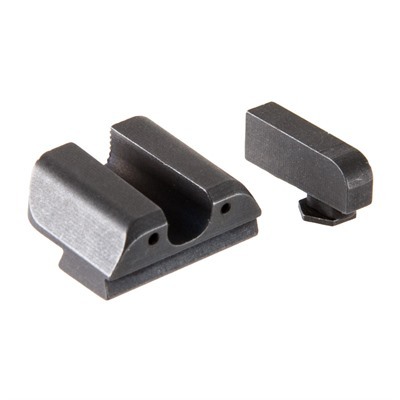 These are low-profile, fixed sights designed to meet the daily carry needs of law enforcement officers. In fact, Agent sights were recently selected by a large federal law enforcement agency as its carry sight of choice. 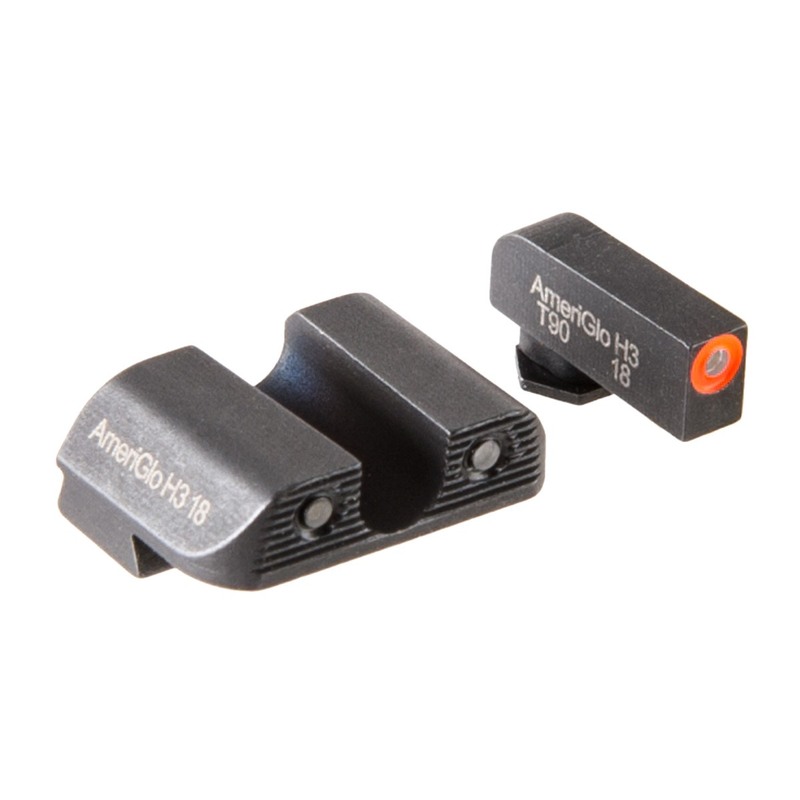 AmeriGlo Agent sights for Glock® employ the proven 3-dot configuration preferred by many experienced shooters. 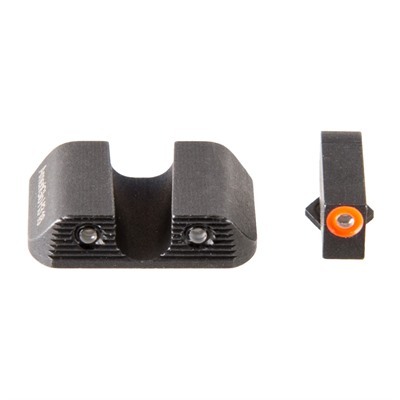 The ProGlo style front blade has a vivid green Tritium lamp surrounded by a bright orange outline, so there’s no trouble identifying your front sight under stress. The fixed rear sight has a rounded U-notch flanked by two green Tritium lamps with subdued black outlines. 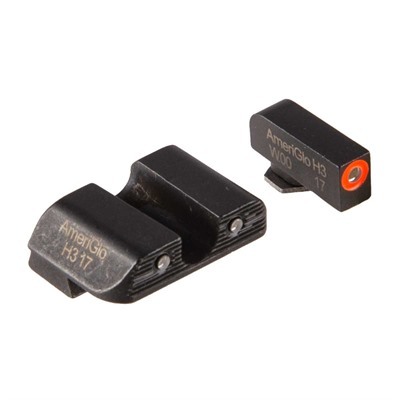 AmeriGlo Agent night sights are machined from high-grade steel barstock, dehorned to prevent snagging on your clothing during the draw, and given a durable, non-reflective black finish to match your Glock’s slide. Even so, the rear sight body is shaped to support one-handed slide racking in an emergency.